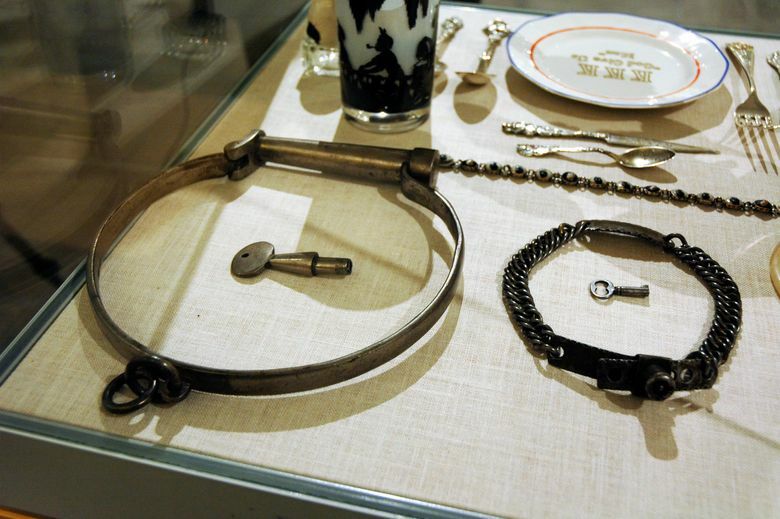 They’re among the artifacts of slavery and segregation collected by NFL Hall of Famer and retired Minnesota Supreme Court Justice Alan Page and his wife, Diane Sims Page. They went on display this month in time for Super Bowl visitors and the thousands of other people expected to flock to downtown Minneapolis for the festivities. 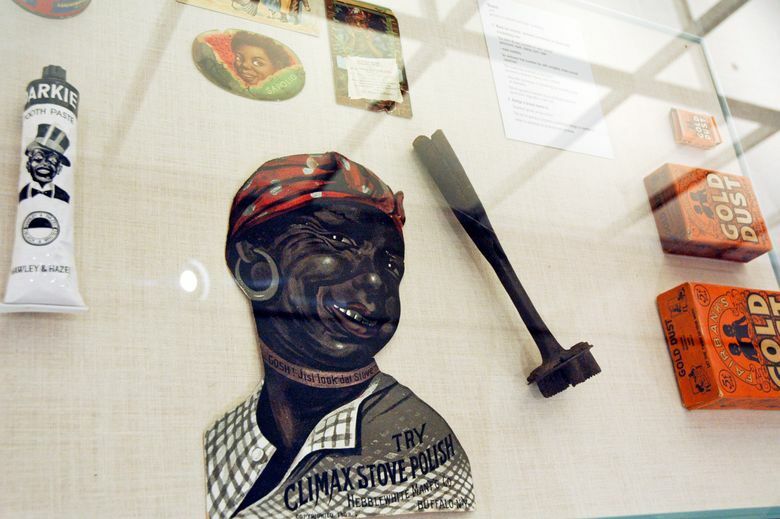 The exhibit, “TESTIFY: Americana from Slavery to Today,” runs through Feb. 6 at the Minneapolis Central Library. Signs that once enforced segregation in the South hang from a wall down the center of the gallery. 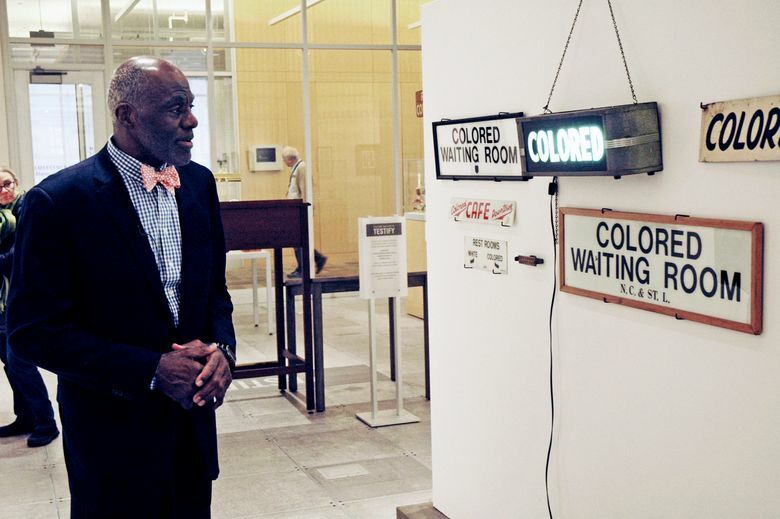 They designated restrooms as “white” or “colored,” and marked the “colored waiting room” at train and bus stations. 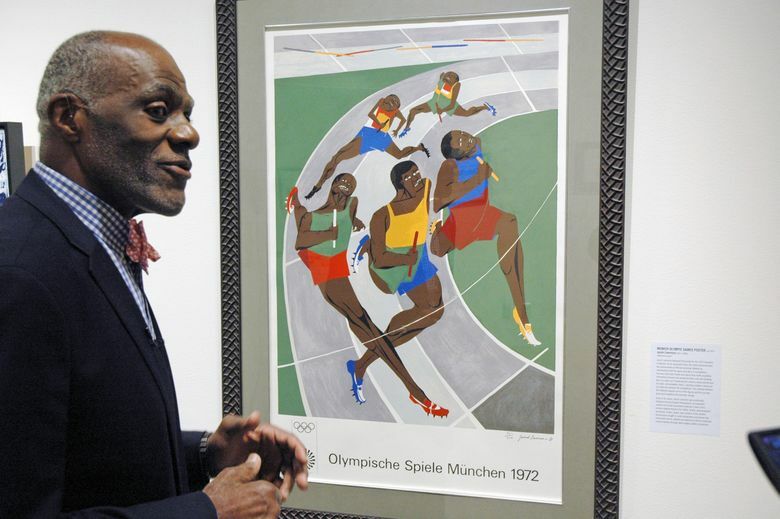 Just across from it is an assembly of vibrant pictures by black artists, showing how African-Americans reclaimed control over their own narrative. Diane Page said the contrast between the “oppressive and expressive” is deliberate. 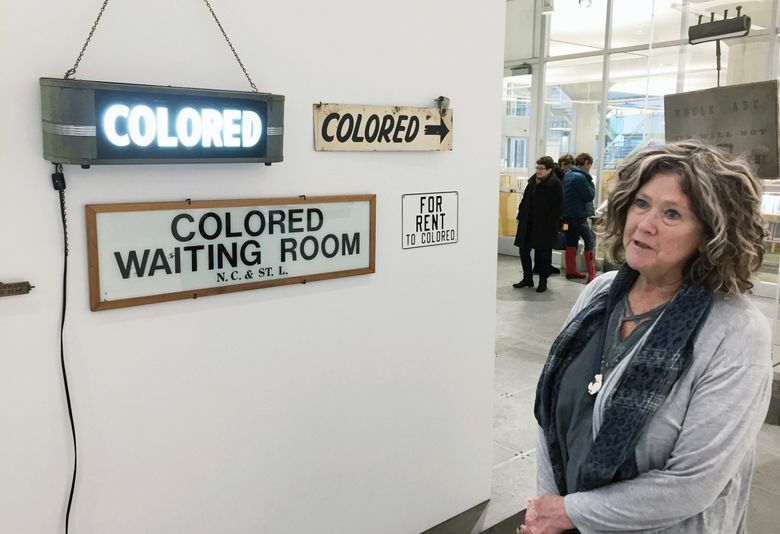 It’s one thing to see a picture of an artifact from that era; it’s another to actually stand in front of it, said Lois Langer Thompson, director of the Hennepin County Library system. She said the library’s location on the Nicollet Mall pedestrian zone, the site of a 10-day fan festival with free concerts and other attractions, makes it convenient for visitors to stop by and see the exhibit — and warm up. 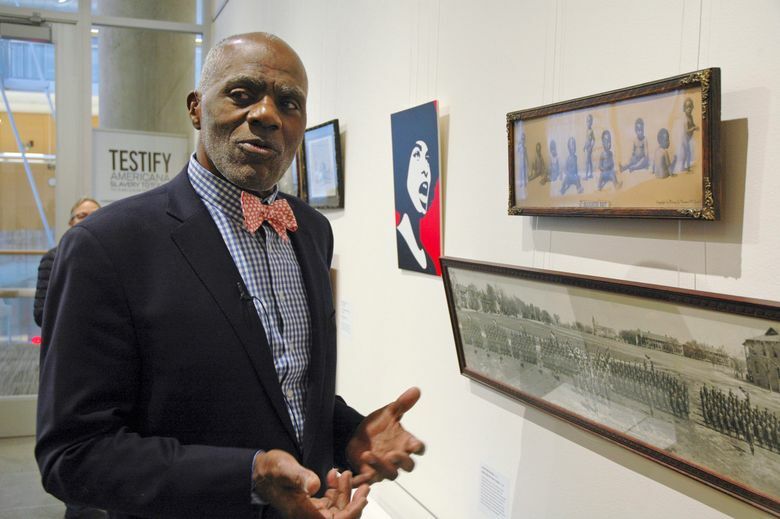 As part of the exhibit, Alan Page will give a talk Wednesday called “TESTIFY: It’s Not About the Flag or the Anthem, It’s About Justice.” He said the controversy over players kneeling during the national anthem misses the point.